The Philippines has mustered up another great tourist destination which may soon be named a new wonder of the world. 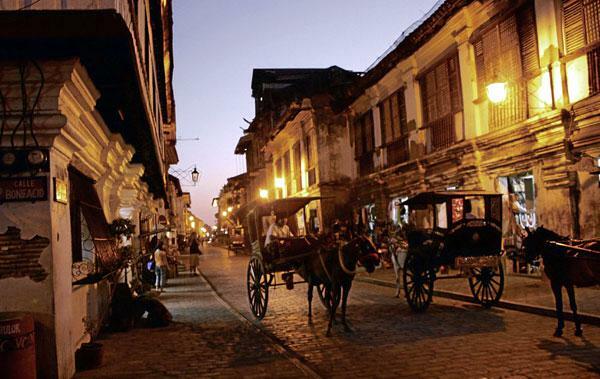 Vigan City is in the 21 finalists in the “New7Wonder” – naming the top seven tourist sites around the world. The heritage city in Ilocos Sur is among the finalists chosen by a public vote. Vigan City is up against a host of other great places in the top 21, including Istanbul, Bangkok, Barcelona, Chicago, Havana, London and Saint Petersburg. The finalists were chosen from a narrowed-down group of 77 cities which had been announced in October, 2013. In all, over 300 cities were considered for the seven slots. The winner will be announced by the end of 2014. In the past, Palawan’s famed Subterranean River National Park was named one of the world’s New7Wonders of Nature, amid an tireless campaign by locals.